Elaine Hancock (Olney, United States) on 30 January 2017 in Architecture. I finally got out yesterday and drove around with my camera. I ended up at the Monocacy Battlefield Park near Frederick, MD. The Worthington farm house was constructed in 1851 and was a typical farmhouse of a successful farmer in this area. The farm, which was 300 acres, was owned by John T. Worthington. 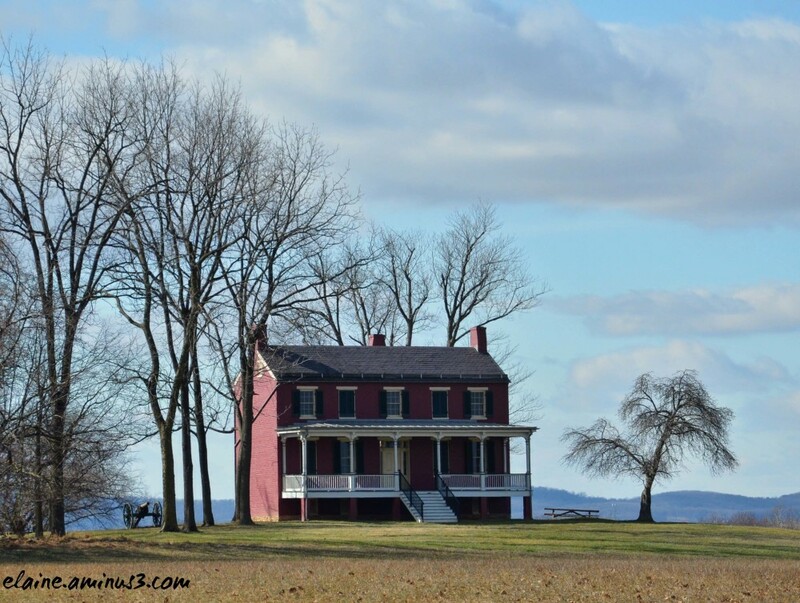 During the battle of Monocacy, John Worthington and his family took refuge in the cellar of the house. Although the cellar windows had been boarded up prior to the battle, six-year-old Glenn Worthington was able to observe the action. Impressed with a scene that was forever etched in his memory, Glenn Worthington grew up to write a history of the battle called "Fighting for Time" that was published in 1932. The farm remained in the family until 1953. Amazing story and image! Cheers Elaine! Ce canons ces arbres quelle vue de cette belle maison superbe. One can feel all that history just looking at the image . . Strange a farm with a cannon ! A superb image, and a look at a historical place. The house looks in beautiful condition. Excellent. A beautifully-composed shot of this farm house and grounds!! I love the working shutters. Thank you for the background information! A great image for a place with history. Thanks for sharing. The cannon calls my attention. It's good to know that you're already starting to go out. A most handsome house. Thanks for the history. Very interesting indeed. This is composed to beautifully. The colors and tones are stunning. A beautiful house with a very interesting history and a superbly composed image !!! a fine historic structure, well cared for due its significance. The places I find are run of the mill, small farmer and abandoned.